The East dance team performs their lyrical dance routine. They were the second performance of the night in the NIC-10 dance competition. “We have definitely overcome our lack of confidence and just overall improved everything from technique to facials everything has gotten better,”said Hailey Hunter, co-captain of the dance team. East was the host to ten high schools competing in the NIC-10 dance competition on Jan. 10. The hour long dance competition ended with Harlem as champion, with Freeport coming second and East third. It was a close competition, with the final score standings of Harlem 83.67, Freeport 83.10, East 78.97, Hononegah 76.93 and Boylan 73.03. 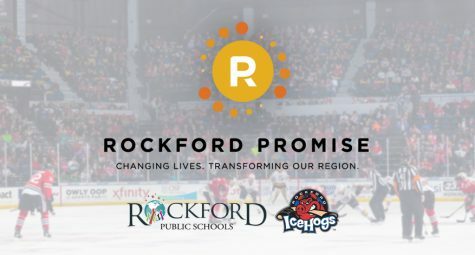 The other five competing high schools were Auburn, Belvidere North, Belvidere, Guilford and for non-competitive, Belvidere North Junior Varsity. The pressure was on for the host team of the event, after placing ninth place in the 2018 NIC-10 dance conference. “Last year was a little rough for our dance team. We placed 9th out of 10, so this year it was about showing everyone how hard we worked. That third place was a win for us all,” said Monica Bautista, co-captain of the dance team. The dance team performs their lyrical routine. They perform a three minute routine to the song “Scars To Your Beautiful” by Alessia Cara. “Being an athlete inspires me to do good by pushing my limits and knowing that there is always one step higher that I can go, and to never quit.” said Monica Bautista, co-captain of the dance team. East’s dance team was the second performance of the night. The lady E-rabs performed a lyrical routine to the song “Scars to Your Beautiful” by Alessia Cara. To some it is one of the hardest styles of dance there is because of all of the technique required. 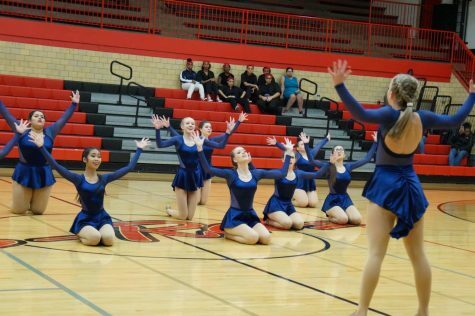 The dance team went from performing pom dances to lyrical this year. “We have been drilling technique a lot more than we have in the past. I think they have done a lot better because their technique has improved, and they’ve been able to do a lot more challenging skills which is shown in their dancing,” said Kimberly Madden, assistant coach. With their goals set, the girls were determined to give their all on the dance floor to reach a higher standing than last time and stand out in the conference. “Our team told a story within our routine. A lot of the other teams just danced, but our team had an emotional connection and powerful message within our performance” said Hailey Hunter, co-captain of the dance team and class of 2020. With a powerful message, it portrays a specific meaning, especially in dance. “One of our goals this season was to score higher in the NIC-10 conference, and we definitely did,” said Madden. After judging all of the competing teams, the anticipated awards were announced. Hearing the final standings, the gym was filled with excitement for some, and for others, disappointment. “I was blown away. I was so happy that I teared up a little. Everything around me just became a blur. I didn’t even hear who got first and second place because we were so emotional and excited,” said Hunter. 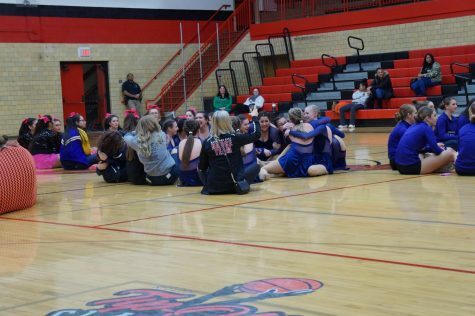 The girls of the dance team are celebrating their victory after awards were announced. East team places third place on the NIC-10 dance competition. 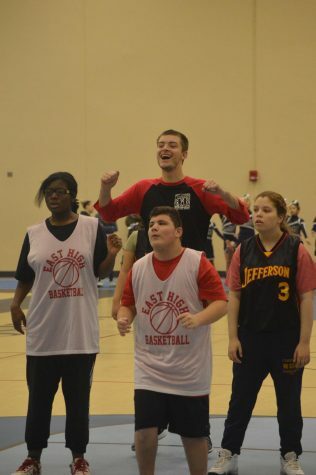 “When I heard that East got third place it was this feeling of accomplishment and pure happiness. I honestly don’t remember the DJ calling second or first place at all,” said Monica Bautista, co-captain of the dance team. Everything wasn’t always sunshines and rainbows. 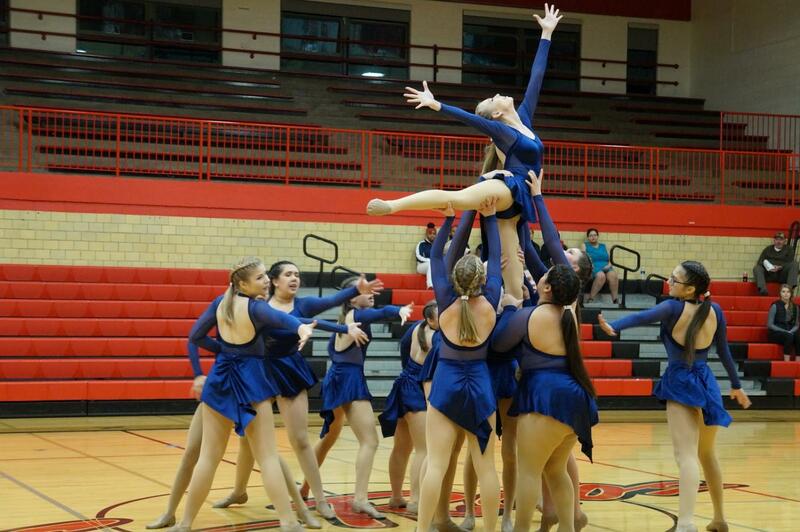 The dance team worked hard to overcome some challenges they have dealt with in the past. Considering that people’s perception of East is always at the bottom, not only in dance conferences but in other areas. “I think getting third was really great, especially because last year we were at the bottom [in NIC-10 conference], so to have come so far in a short amount of time was amazing. I think it shows that in the next couple of years, we can really be a competitive force in our conference and section,” said Madden. Now, people can see East as a competitive team. “We improved so much and worked really hard to get where we are now, and we will continue to work hard and get even better,” said Hunter. As of now, the team has set new goals for future competitions. They want to keep climbing up by improving their score at each dance competition. The team uses constructive criticism to work on areas that could use improvement. “In all honesty, I feel like our team’s performance this year has been amazing, and the amount of positive feedback that we’ve received from students has been amazing. We are getting ready for our future competition by reading through the judges’ feedback and looking at screenshots of the dance to see what we have to fix, and running it as a whole team and in groups,” said Bautista. 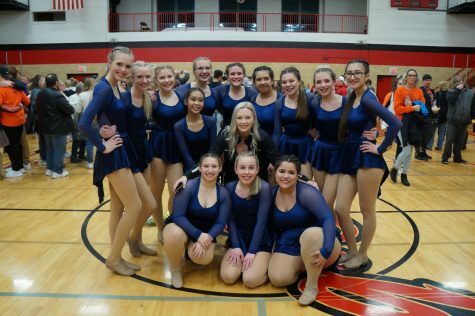 The dance team poses for a group photo after receiving third place on Jan. 10. “Both of my coaches are my favorite, Stephanie has been someone that I’ve looked up to these past two years of me dancing she always pushes me to do more. 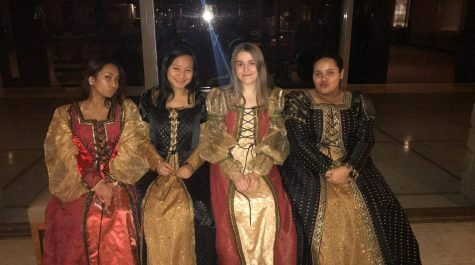 Coach Madden has been there for the long practices to push us and if we’re cheating ourselves she makes sure we know that it’s not benefiting us to,” said Monica Bautista, co-captain of the dance team. 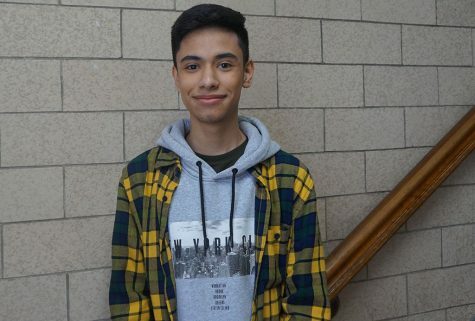 "Newspaper is a way for me to not only meet new people, but to hear their story and make it be heard."